[...] the most far-reaching and significant of Marx's assumptions concerns the unchallenged power of private property rights in both production and exchange. It is in this context that he also assumes perfect competition in the market place. He accepts Adam Smith's theory of 'the hidden hand' although he insists that the hidden hand is that of labour not that of capital. Monopoly power is assumed away. Why he adopted these assumptions is an interesting question. 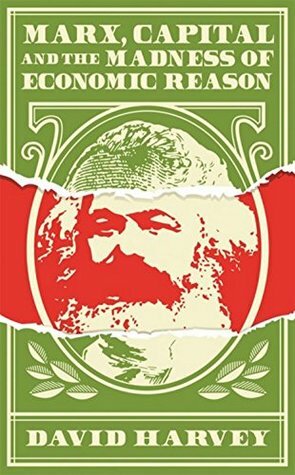 My guess is that Marx's primary intent in Capital is to deconstruct the utopian vision of free market capitalism that the political economists of the time were promoting. He wishes to show how market freedoms do not produce a result that is beneficial for all, as Smith and others supposed, but that it would produce a dystopia of misery for the masses and immense wealth for the propertied capitalist class. The irony is that the need to find a physical material representation for social values led to the adoption of an unimpeachable metallic base (gold and silver) for money that was so dysfunctional for daily use that it required symbolic representation of itself (paper and electronic moneys) to be effective. The symbolic moneys gradually became more dominant as trading expanded. Cutting out the metallic base in the early 1970s produced two symbolic systems--value and money--side by side in an awkward dialectical embrace. [...] debt is a claim on future value production that can be redeemed only through value production. If future value production is insufficient to redeem the debt then there is a crisis. Collisions between value and anti-value spark periodic monetary and financial crises. In the long run, capital has to confront ever-escalating claims on future values to redeem the anti-value building up within the debt economy and credit system. Instead of an accumulation of values and of wealth, capital produces an accumulation of debts that have to be redeemed. The future of value production is foreclosed. [...] If investors seek speculative gains in price-fixing markets for assets which have no value (such as art objects or currency and carbon futures) instead of investing in value and surplus value creation, then this indicates a pathway by which value can be leached out of the general circulation of capital to circulate as money in fictitious markets where no direct value production (as opposed to appropriation) occurs. When price signals betray the values they are supposed to represent then investors are bound to make erroneous decisions. If the money rate of profit is highest in property markets or other forms of asset speculation then a rational capitalist will place their money there rather than in the sphere of productive activity. The rational capitalist behaves irrationally from the standpoint of the reproduction process of capital as an evolving totality. The result could be a deepening tendency towards secular stagnation in the economy as a whole. [...] when technology becomes an independent business, it no longer responds primarily to needs, but it creates innovations that have to find and define new markets. It has to create new wants, needs and desires not only on the part of producers (through productive consumption) but also, as we see all around us on a daily basis, on the part of final consumers. This business thrives upon and actively promotes the fetish belief in technological fixes for all problems.